Thank you to Smile Brilliant for providing me with their professional custom-fitted at home teeth whitening! All opinions are my own. This post contains affiliate links. Have you wanted a whiter smile? My oldest daughter is in college and has not been happy with her smile for some time. She wanted a whiter smile, so I was thrilled to partner with Smile Brilliant to help her accomplish this. We tried their teeth whitening for the last couple months, and we have both been very pleasantly surprised. 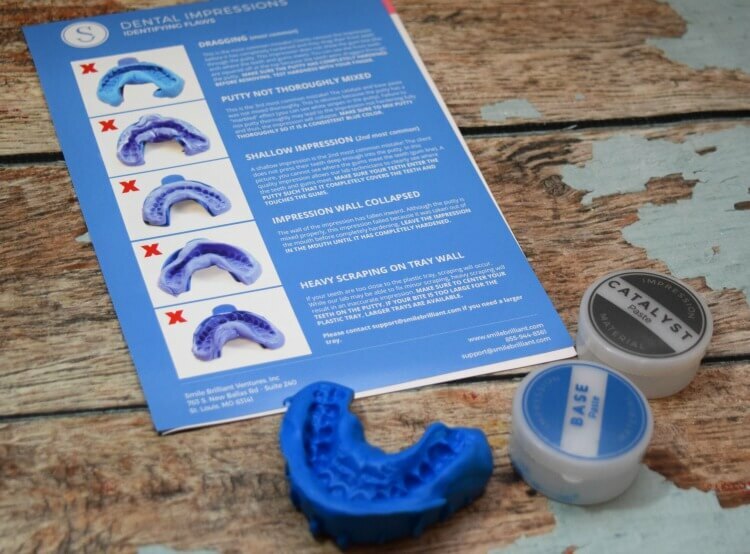 Did you know the #1 dentist recommended teeth whitening method is using custom-fitted whitening trays? 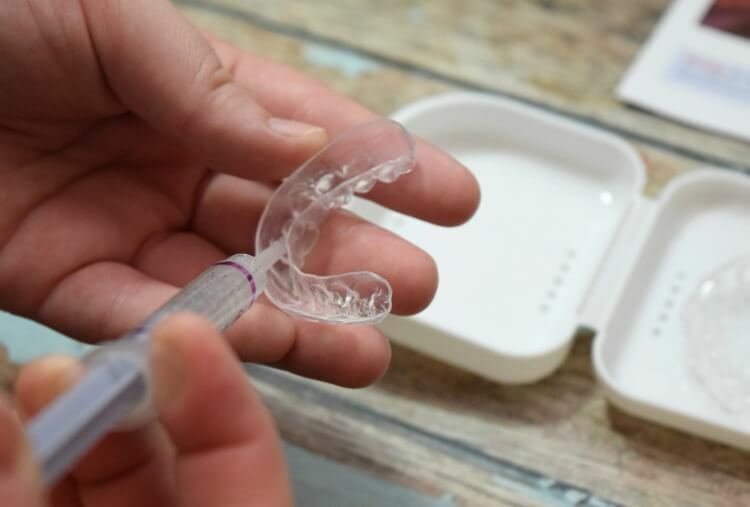 With Smile Brilliant their trays ensure every angle of every tooth, even if your teeth aren’t straight, gets an even and consistent coverage of their professional strength whitening gel. 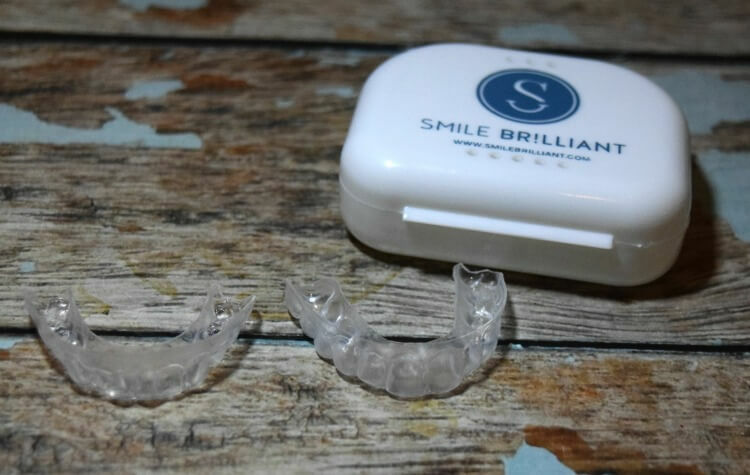 The average dentist can charge more than $500 for the exact same service you can get with Smile Brilliant with custom-fitted whitening trays. Smile Brilliant offers professional whitening at about 70% less cost and up to 5x faster. I did not know much about teeth whitening, so I was skeptical. 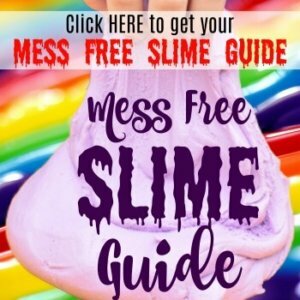 My daughter had tried other products and had not been happy, so I wasn’t sure what our results would be. She tried whitening toothpaste and never saw much change. She also had used some home whitening strips you can buy at the store. She absolutely hated them and was a little worried that Smile Brilliant might end up being the same way. 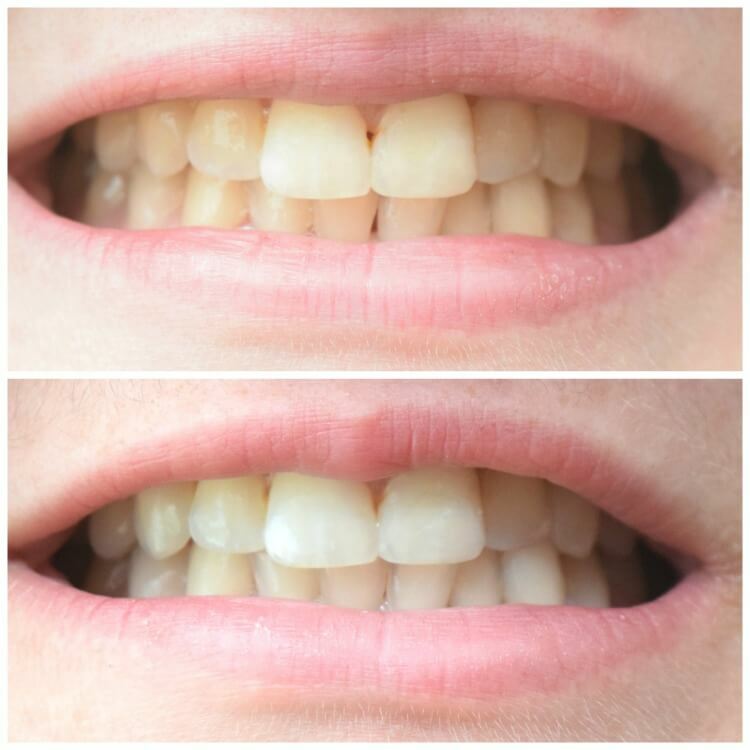 The whitening strips she had used before were bulky and would not stay on her teeth. Plus, they made her feel like she was drooling and constantly spitting. #1 There are no “strips.” Instead, you get custom fitted trays made exactly to your teeth. In fact, we did impressions right at home and sent them off to Smile Brilliant. Her trays arrived about a week and a half later. #2 You see almost immediate results after just a couple days of use. By day 3, we could see my daughter’s teeth were visibly whiter. She did have gum sensitivity during the first few applications of using Smile Brilliant, but we found if she skipped a day and let her gums heal, the sensitivity stopped. This only happened twice during the entire course and both times were at the beginning. By the end of the course, she was fine. We also learned that petroleum jelly or coconut oil placed on the gums acts as a barrier and can help stop the gum sensitivity. She also used the desensitizing gel after each application as a preventative for teeth sensitivity. She never had any issues with her teeth being sensitive during the course of whitening or now. Are you excited to try it yourself? Grab the coupon below before ordering and scroll on down and enter the giveaway below for a chance to win! Use this 15% coupon code: tiptoefairy15 when you order. Enter it in the “Gift Code” box at check out. Smile Brilliant is going to give one of you a $149 credit – the value of their T3 Sensitive System! Thanks for the chance to win this! I would love to get my teeth whiter, I work hardon them day and night re cavity prevention, I often forget to take care of their outward appearance! I have used this too, and was VERY happy with the results. It really works and I recommended it to a bunch of people. I can really tell a big difference in the before and after photo. I love that the custom fitted trays are included and not those strips that won’t stay in place. I have used this system before and the results were great! One thing I did notice is one time I had a little issue with sensitivity with one application. I like how the tray stays in place also. I really need to do this. My teeth have gotten stained over the years and could use a good whitening treatment! I would really love to try Smile Brilliant because my smile is something that really bothers me! I have see how I can do this! I’ve used this system and received great results. I did notice during my last application my teeth became sensitive towards the end. But, it does work. Wow! That really worked. The coupon is a great deal. I need to share this with some of my friends who are considering whitening. I like that it includes a custom fitted tray. I am using a similar one. I think its slowly working. I find that the solution lasts a long time. This really is the fastest way to great results. What a great product! I would be thrilled to win this. I have never tried a whitening system with a custom fit tray before and I have heard great reviews of this brand and your daughter’s teeth look lovely! My teeth definitely need a good whitening, so I would be so excited to try. I like the custom fitted trays, because they stay put. You can really see a difference in your teeth. Custom fitted trays sound like a wonderful thing! Sounds like you found the perfect treatment for your daughter. You can see the difference in the before and after pictures. I like that it’s easy to use and that it’s all about convenience while you treat your teeth. Very nice. Like most things what works on one person may not work on another. But you are not the only person who has had great results from this product. I have never tried such teeth whitening ever and I have no idea about this before and I am glad to found out this. I can really see the difference. Good to see the result of your before and after. My husband and I both used this in the past and it works really well. Looks like it worked awesome for you too. This is indeed a convenient option than going to a dentist. Like the fact that you can get your teeth whitened without moving from the comfort of your home. 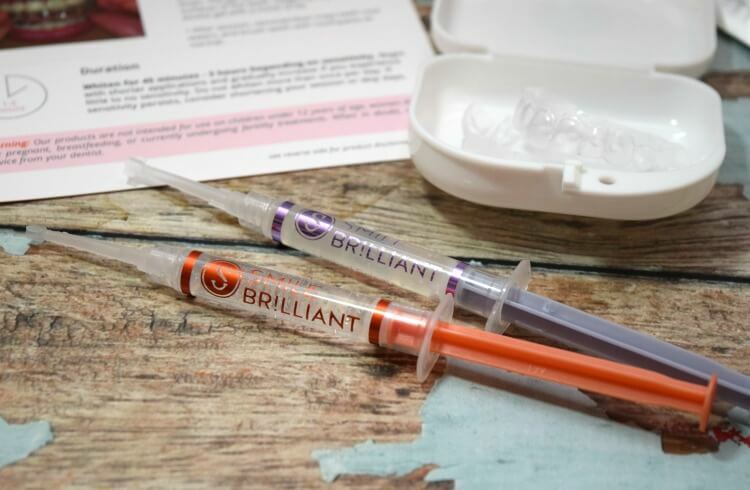 Smile Brilliant looks like a convenient option for those seeking whiter teeth. I’ve heard such great things about Smile Brilliant. I’d love to give it a try for myself, I know I could for sure use it! I would love to try it- thanks for the giveaway!